All of these things are things that I REALLY love. Really. I have not accepted any compensation to share these items and there are no affiliate links. I promise to share only things that I absolutely love. 1. Pattern + Color: 50 playful exercises for exploring pattern design by Khristian A. Howell. (pic above) I LOVE this book! It is so pretty and I REALLY love pretty things. 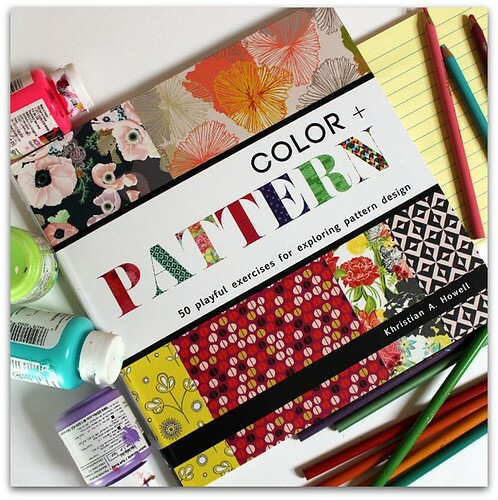 There is so much color inspiration and beautiful pattern ideas. Plus, information on multi-color palettes, exploring motifs, repeating patterns and so much more. I actually won this book over on Kristian’s beautiful instagram feed and I am so happy I did. I think I’ve looked through it a hundred times. Please go check it out! 2. This one is a weird one, I know. Stellar Gaze Mineral Mascara. I was sold initially by the pretty packaging. I’m a sucker for golden, twirly swirls and stars. But then I realized it was vegan and also cruelty free! I’m totally into that. And to top it off, it works great for when I want to look fancy. 3. Fine tip iron on transfer pen by Sublime Stitching. 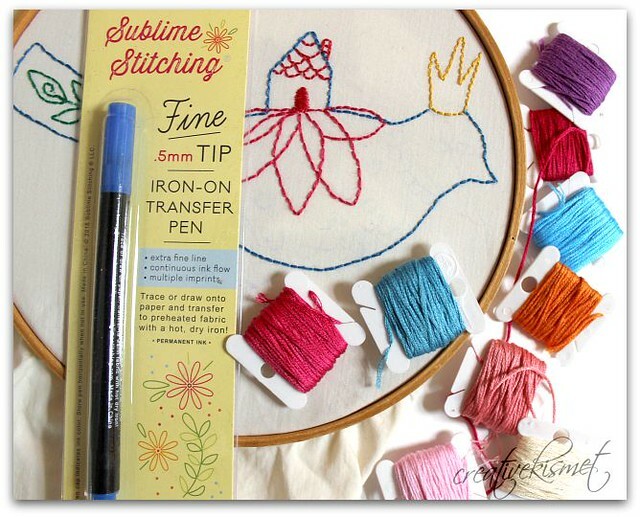 You can transfer your own designs onto material and stitch them up, easy peasy! Where was this pen a few years ago when I actually had time to stitch! It’s great though, because I still have grand ideas of designing fun embroidery patterns. I could use this pen for that. 4. The Heartless Machine Guide to Drawing. My kids were given this book as a gift and it has been a big hit. It mostly sits on the dining room table all of the time, and we all take turns drawing in it. It is made up of partial line drawings and you make up the rest of the picture. Fun for the whole family! 5. Another weird one… dental floss. See, I told you. Dr. Tungs Smart Floss. I am a firm believer in flossing and this floss makes flossing better because it just feels likes it’s doing a better job than the other kinds. It feels a little like it is textured, like it is gently scrubbing between my teeth. And it glides nicely too. My teeth are so happy afterwards–they are smiling right now just thinking about it. Well, I feel better now having shared these with you. Thanks! This entry was posted in Fun kid stuff, i make stuff, Misc stuff. Bookmark the permalink. Oh fun, I love when people share their favorites, though I always wish I was in the US too so I could go out an buy it all. Will check the links out though, thanks. 22aThe article is worth rienadg. The uniqueness and structure that shines from this article. These days blogs are used everywhere. The idea that we recieve from them has no words to describe. The attribute needed is the power of creativity within yourself via learning, thinking, creating and rigorous study. Therefore the blog post is immensely fruitful for the readers. Thanks a lot for writing such a wonderful article. I will wait for your future article with great egarness.